Due to the advancements in technology, our gadgets have changed the way they connect. Wireless technologies are rather replacing wired connections at a very fast pace. First of all we used infrared to connect our smartphones to each other and share data. Now we use a very high speed wireless connection known as WiFi. WiFi is connects our smartphones to a high speed broadband connection wirelessly. It can also be used to share files and data. Most people have a WiFi connection because mobile Internet is expensive and cannot be used for heavy downloading. People use Android phones due to the vast catalog of all kinds of apps available for the OS. Therefore, there are also apps available that let you hack WiFi connections. You can use these WiFi hacking apps for Android and connect to a WiFi network by by-passing security without entering a password. With WiFi Hacking apps on Android, you can connect your phone to a high speed Internet connection at any place. Using best WiFi hacking apps on Android can be used according to your convenience to get high speed Internet and it will also save you some money. List Of Best WiFi Hacking Apps For Android. 2. ZAnti Penetration Testing Android Hacking Toolkit. 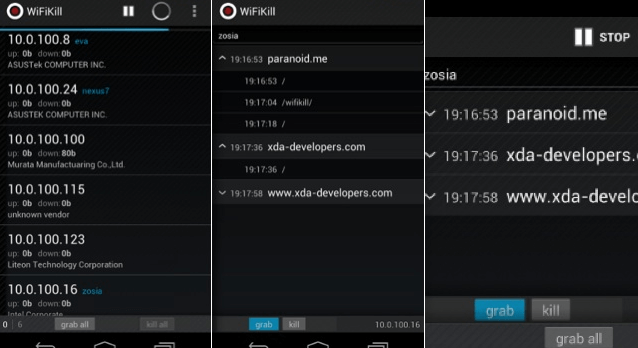 WPS connect is an excellent in all WiFi hacking apps for Android. It is considered one of the best apps on Android to connect to a WiFi network. It requires root privilege and works in the background to exploit WPS vulnerabilities in many routers. You can connect to a router which has a default WPS pin that hasn’t been changed. It has all the default pins stored in it, and it can also work with various pin generating algorithms to hack WiFi . WPS connect is available on the Google play store and you can install it, but it only works for Android 4.1.2 and above. How To Use WPS Connect To Hack WiFi. Step 1. Install WPS connect from the Google play store. Step 2. Turn on WiFi on your phone and look if there is a WPS enabled connection available. Step 3. Now open the WPS connect app and grant root access. Step 4. Now hit refresh so it can scan the available WiFi networks. Step 5. Choose the network you want to hack and you will see a list of pins available. Step 6. Select a pin and try to connect. If the pin works, you will see a password, or you can try another pin from the list. Step 7. Once you see the password, copy it. Then go to your phone’s WiFi settings and paste it. Step 8. Tap connect and you will be able to connect to the WiFi network. 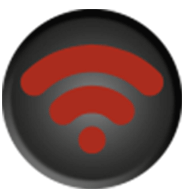 WiFi kill is a very handy WiFi hacking tool. Even though it doesn’t connect to a WiFi network without a password, once you are connected, you have complete control. This is also good choice in all WiFi hacking apps for Android which let’s you see how many devices are connected to the WiFi network. It shows you their IP as well as MAC addresses. You can also see and control the traffic over the WiFi network directly from your Android smartphone. It is a very useful app. But it also requires root privileges to perform it’s functions. You can download it from the Google play store. The link is given below. 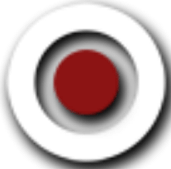 This app focuses on the routers that connect via wps technology. WPS connects your devices without a password, using a pin or WPS button. ZAnti Penetration Testing Android Hacking Toolkit is an app that tests a network for intruders. That means you can try to penetrate in your network and ping other connected devices. This app deals with the hidden WiFi networks around you as well as help you crack them effortlessly. This app lets you spoof in WiFi networks to change your identity on a local network. You can mask your local IP with this app. Finally, you can look for these apps, yet chances of them working to hack WiFi networks are very less. In conclusion, we would like to add that these apps are only for testing and educational purposes. We request you not to cause any trouble or breach anyone’s security and privacy. Rather use your proper judgement. Please comment your suggestions below.